Ideally, when sheet metal is bent, the entire length of the bend gets pressed into the die by a punch. The resulting bend smoothly and accurately matches the bend radius of the punch and die. 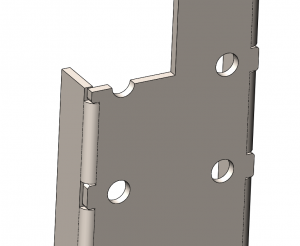 It is common to have holes designed into sheet metal parts for various reasons. 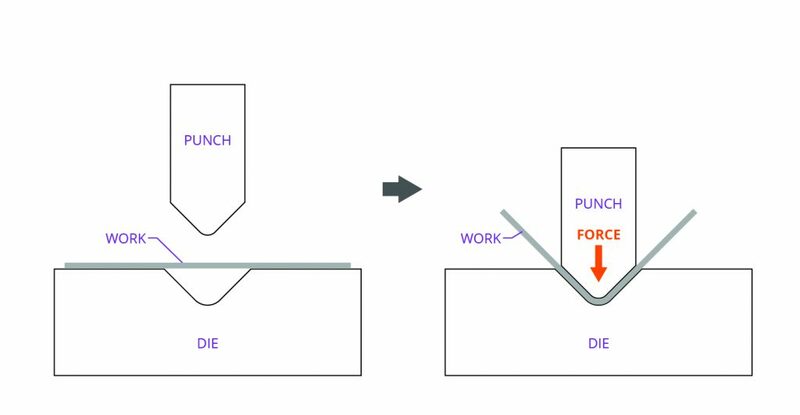 A hole located near the punch is likely to be distorted and warped during the bending process. 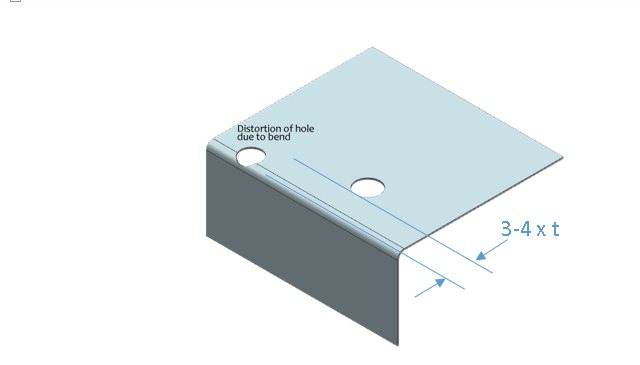 To determine whether a hole is at risk for distortion depends on the bend radius, bending method, and tool size. Generally a hole is at risk for distortion if it is within a distance equal to 3 or 4x the sheet metal thickness from the bend line. This rule also applies to slots, punch-outs, louvres, dimples and other features that may be distorted by bending. If the hole and bend can’t be moved farther apart, add a relief to the area roughly as long as the diameter of the hole. This will reduce the possibility of the hole being distorted. The image below shows a support bracket with these reliefs designed in. A section cut has been made to show internal details. By adding the reliefs, the hole should avoid becoming distorted. However, a possible trade-off is that the flange-bend might become disrupted. If the part is not specifically required to have a continuous bend (e.g., to be liquid tight or visually homogenous), then this is a good trade-off to ensure a round and appropriately sized hole for the fastener to pass through. This also particularly important when the hole is for a self-clinching insert. The insert requires a predictable profile for reliable installation. Issues could arise with the anvil and punch if the hole is too close to the flange. The approach described above is fairly common and reliable. If you have any lingering doubts, you can always 3D print a prototype first. 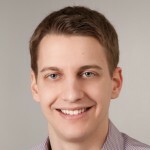 Nigel Syrotuck is a StarFish Medical Team Lead Mechanical Engineer and frequent guest blogger for medical device media including MD+DI, Medical Product Outsourcing, and Medtech Intelligence. He works on projects big and small and blogs on everything in-between.